Beck's twelfth album Morning Phase beamed into my life at a moment of traumatic flux. Its first single, the achingly bereft 'Blue Moon', was made available as an audio stream on January 20th, the day my relationship of six years arrived at its mutually agreed - but still devastating - conclusion. Hitting me at what we might term a (cough) vulnerable time, the song demolished in four minutes the wall of denial I'd been building for months. When I heard the full album a few days later its troubled drift seemed to mirror the doubt and confusion of the new situation I found myself in. I've since discovered it's just the thing to break the deafening silence of 2am. The album has been widely touted as a belated companion piece to Beck's 2002 masterpiece Sea Change - a collection of songs inspired by the collapse of his relationship with fiancee Leigh Limon. Back then I was firmly ensconced in the protective arms of a relatively new and stable relationship, which made the album a luxury holiday in someone else's misery rather than an opportunity for tear-soaked catharsis. Morning Phase, on the other hand, forged an instant and inextricable connection to the here and now. These songs speak to the weight of accumulated history, the phantom-limb pang of futures destined never to materialise and the embattled hope that the goodness in us can withstand wave after wave of greater and lesser misfortune; that we add up to more than the sum of our suffering. But if the impetus for Sea Change was unmistakable - and widely publicised - the source of Morning Phase's melancholy isn't quite as easily determined. Though 'Blue Moon' can be interpreted as a lovelorn cri de cœur, the album's lyrical orientation tends toward the allusive and non-specific. The 2008 spinal injury which knocked Beck out of full service for a couple of years might account for the blue mood. But then again, it might not. We're given images of sea and sun, hazy ruminations on loneliness and loss. The title itself seems to gesture homophonically at a kind of morbid hypnagogia. Poring over the lyric sheet offers scant illumination, but then that's been the case with Beck since his 1993 debut Golden Feelings. I recall listening to 'Orphans', the opening song of 2008's Modern Guilt, and being intrigued by lines like "As we cross ten leagues from a rubicon / The matchsticks for my bones / If we can learn how to freeze ourselves alive / We can learn to leave these burdens to burn" only to be startled by how awkwardly they scanned when divorced from Beck's subdued murmur and the off-kilter boom 'n' clunk of Danger Mouse's production. Glance at the lyrics to 'Loser', 'Devil's Haircut', 'Nicotine And Gravy', 'Sunday Sun', and the same applies. 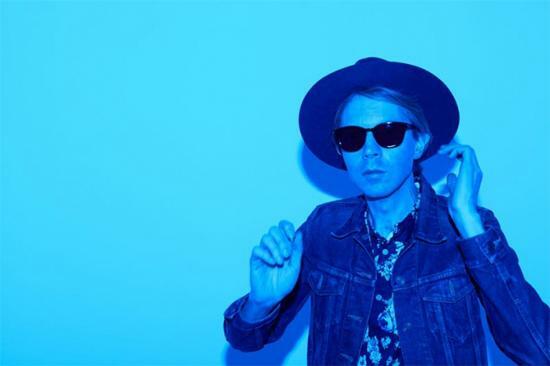 It's not that Beck is a poor lyricist; more that even at his most apparently confessional, his words belong where they are, embedded within compositions that are designed not to be dissected but to be felt and inhabited. Morning Phase reunites the ensemble Beck worked with for Sea Change. This band includes two pop geniuses in their own right - ex-Jellyfish members Jason Falkner and Roger Joseph Manning Jr - and may well be the 21st century's answer to 1960s America's legendary session troupe The Wrecking Crew. Beck's father David Campbell again makes his presence felt through a series of striking string arrangements - his orchestration for 'Wave' is every bit as immersive as its title and lyric demand. And this chilling meditation serves as an indication of how far Beck's writing has evolved: 'Round The Bend', its equivalent on the 2002 album, is stunning, but arguably too indebted to Nick Drake's 'River Man' to be fully embraced on its own merits; 'Wave' doesn't sound like anyone else. It's also the album's most challenging 2am listen. Those who've heard it will understand what I mean. The critical consensus so far seems to be that Morning Phase is Beck's finest for at least a decade. Perhaps that's the case, but I wonder whether those expressing this opinion have been paying attention. For Guero (2005), The Information (2006) and Modern Guilt (2008) Beck returned to a beat-driven approach, which elicited inevitable comparisons to the Grammy Award winning Odelay (1997). But this material was considerably more emotionally and sonically complex. Songs like 'Girl', 'Missing' and 'Chemtrails' exude a vaporous disquiet, while several tracks on the Nigel Godrich-produced The Information - notably 'Cellphone's Dead', 'Soldier Jane' and 'The Horrible Fanfare/Landslide/Exoskeleton' (the latter a ten-minute suite with spoken interjections from Dave Eggers and Spike Jonze, which ranks as one of Beck's most ambitious and bewilderingly overlooked compositions) - open up into vast dubscapes, evacuated cities of sound through which our protagonist wanders like a paranoid stickman. Likewise, his recent non-album single 'Defriended' is built around a robust machine rhythm, but it's too disconnected and spectral to constitute a club banger even as a fourteen-minute remix. In any case, Morning Phase is more than a return to form. It's a slow, reflective album with a complex emotional undertow; it's a production masterpiece; it's a stone to break open your heart; it's a reminder that happiness is fleeting, but so is sadness and so, indeed, is life. Like St Vincent's self-titled fourth album and Neil Finn's Dizzy Heights, it makes a strong case for the idea that we're not quite finished with songs. Or rather, that songs will come looking for us whether we like it or not. A week after my first full listen to Morning Phase, I'm connected to Beck via phone line to Los Angeles. He's en route to the studio; not untalkative, but somewhat guarded. I'm uncertain whether the extended pauses that greet my questions indicate a time delay or his exasperation. He warms noticeably when our conversation moves towards subjects other than the process of making the new album. Are there any questions he's sick of being asked? "If anything," he replies, "I'm sick of my answers." The material on Morning Phase has taken a while to come out. Can you give a brief history of the album? Beck Hansen: Basically I went in to make the record about a year ago, but some of the songs were pre-existing. The idea for the record has been around for a long time. Morning Phase was something that I could've worked on and put out, but I felt that because of the long gap [after Modern Guilt] I wanted to put out something that had a little bit more of a musical range, with some songs that would be better for live performance. But for different reasons the other project that I was working on didn't come off, it wasn't the right time. So I picked this record back up. After having tried to do it in Nashville in 2011… it was something I was working on, off and on, for several years, but then I finally kind of just got down to it at the beginning of last year. It's been waiting in the wings. At what point did it became apparent that this was a companion piece to Sea Change? BH: I really wasn't telling myself that. It was more about doing a kind of record with songs based on acoustic guitar, piano... quieter, slower, as opposed to Modern Guilt, which was a collaboration with Danger Mouse, and the previous album [The Information] which had all these breakbeats that we'd created - we cut all the tracks live, and then remixed the whole thing, y'know? Those are completely different projects, there's a different orientation to those records. I feel like because there are different kinds of records that I make, that Morning Phase ends up being a bookend by default, because there's another five albums in between that are in a similar vein [to each other]. If I were allowed to make more records, I think, creatively, I would have more records like Morning Phase. You lost a potential follow-up to Sea Change, didn't you? BH: Yeah. I had a bunch of songs that I'd written over a two-year period after the Sea Change songs, which I felt were gonna be the next record in that vein. Then when I was on tour, the tapes were in a suitcase that was left behind at a venue. When we went to look for them, they had been taken. I think that partially had something to do with not making another record in the vein of Sea Change, because that was really heartbreaking to me. I was really proud of those songs, and I felt like they were building on the shoulders of Sea Change. I thought the songs were a lot better. It was a real step up. Unfortunately I hadn't memorised most of those songs. I'd recorded them on tapes as a reference, and I had them on tour with me so that I could work on them. But they were gone. It was sort of a shock that you could have a whole body of work and then the next day, completely gone. So I think for several years I was just a little bit frustrated and didn't want to have anything to do with writing a song on an acoustic guitar. [laughs] I ended up making another record with the Dust Brothers [Guero] because we had a lot of unfinished material. Then I did another record with Nigel [The Information] where we did the opposite of Sea Change. He wanted to do a kind of beat-driven hip hop record. Godrich has since started the electronically-orientated Ultraista (with frequent Beck collaborator Joey Waronker) but The Information must have been quite a departure for him at the time? BH: I think that was a real laboratory, and a bit of school, those sessions. Because I had been working with songs that had beats and that sort of production for years, but doing it with him, y'know, we were starting from scratch. There were no samples or programming, it was just all live. So I think for him, it was like beat school. It was kind of an experiment. It felt like we were sixteen year olds let loose, it had that kind of energy to it. A lot of discovery. It's a little rough around the edges, which was how we approached it, wanting to make it not so polished. Something you would make when you're just still trying to figure it all out. Because as time goes on, you learn how to do certain things properly, and I think with the nature of the songs we were trying to do, the production needed to be a little bit raw for it have that kind of energy. In contrast to The Information, Morning Phase is an exceedingly lush and 'produced' album. Do you think this quality, along with the recurrent images of sun and sea, derives from a uniquely Californian outlook? BH: I'm so bad at that. I'm not sure what a Californian outlook is. Because I grew up in California, but in East LA. I never saw the sea. All we saw was smog and urban blight! The palm trees had rats the size of cats, the public transportation - it could take two to three hours to get from one side of the town to the other. I only partially relate to that view of California. But y'know, I spent a number of years living in the country and in the mountains, in the elements, so I think some of that came through in the songs on this record. Maybe some of the other material that I've worked on over the last five years, but particularly this record. Sea Change was written in response to a very specific situation. I get the impression the Morning Phase songs are more like internal dialogues. Would you say that was accurate? BH: Yeah, I think so. I think they're… y'know, it's hard to say what they are exactly, because that's the nature of writing songs. I can have an idea of something I want to put into a song, but it's sort of like handling air. You can't really tell the air where to go, and what shape to be. And that's what it feels like as a songwriter. You're kind of dealing with this emotion or mood or mindstate, and you're trying to get it to exist in a song. So it's kind of an awkward endeavour. But I think with these particular songs, there was a mood that hopefully the songs convey. I just tried to inhabit that, and work on the songs over and over until that particular feeling started to manifest in the songs. It was coming from a place of... trying to find something redemptive about experience and travails, and difficulties, and just general life. Which happens, and there's this accretion of life which comes and goes, and builds up. With these songs, I was trying to engage with that - how to confront that and engage that without it sinking you. Is there a way to transmute negativity and misfortune into something [that] leads you back to pushing forward and not being completely taken down? And I'm sorry if it's kind of generalised and non-specific, but I just felt like the songs needed to convey that in a kind of non-specific way. Because it would maybe feel a little bit, uh... overwrought, if it was speaking too specifically. I'm trying to get the kind of words and sounds that give you the feeling, rather than tell you what to think. That's the trick. But if somebody hears it and takes it as, 'Oh, these are some nice songs', that's fine too, y'know? That ties in with something I've been thinking about a lot lately. The accumulation of personal history, and the effect that has on the individual. BH: I think in some ways it can strengthen you. It can shape you. But it can also deform you. I'm sure some people just sail through life and do alright, but the rest of us, y'know, we're grappling. We're not all equipped to know how to deal with it. So it can be a bit of a rocky road. And sometimes there's a point where cynicism or negativity can set in as a way of dealing with these things, and the world. Or maybe there's a way to try to take those things and find another way through it. That's really difficult. I was always curious about how some people were able to do that. Just be unscathed. [laughs] By nature, you want to be an empathic, feeling person, y'know? But to be immune to the blows of life, even what happens in the culture, and at this particular point in history… throughout history there have been those moments where you can't imagine how people rebuilt. But I guess maybe that's an area that's difficult to enter into when you're making music or making films. It's maybe not necessarily entertainment, y'know? Which is what we're doing here. But what I was trying to do with this was just go into a place and speak as simply as I could, as directly, from a personal perspective, without any kind of other stuff added to it. And overthinking it, y'know. There were points where I was unsure if what I was doing was... too simplistic. But I think that's how that stuff works. Getting into these emotional places and that kind of internalised expression. With Guero, The Information and Modern Guilt, it seemed like the two styles you've become associated with - sample-based collage and folk-infused acoustic songwriting - were starting to meet in the middle. BH: That was the intention. I had a long talk with Spike Jonze after Sea Change came out. He felt really strongly that I had these very distinct approaches to music, and that I should try to do some work that brought the two together more. So I attempted to do that on those, to lesser or greater degrees. Maybe more so on Modern Guilt. You turned forty a couple of years ago. Was that a milestone for you? BH: I don't know… my life experience is so strange, because… there are generally things that come to one in life, certain, almost predictable cycles; and those things that happen to anybody, because of putting out records and putting out music and other factors, have come at different times for me, y'know? I've had some of these things that happen to people later, earlier, so that kind of life cycle thing has gotten a little scrambled and confused. By the time I got to forty, I was doing things that I could relate to people I know in their sixties. But at the same time there were things I felt naive about. So it was mixed. But I don't think there was a moment of panic or anything. Do you miss the time when fewer people were paying attention? When you wouldn't get instant feedback via the internet? BH: I think most musicians in the last ten or fifteen years have been making a massive adjustment to that. This kind of seemingly consensus opinion that you get through the internet, through blogs, and comments and feedback from social media, all these things present musicians, filmmakers, any creative person with this kind of instant feedback that is intense, a little bit intimidating. Sometimes I think it can warp your sense of what you're doing. And I think that it has warped people's perspectives. It's messed with mine a bit and with other musicians I know. I've talked with friends of mine, they've had this discussion with a lot of other musicians, there have been these sort of growing pains to becoming accustomed to that kind of feedback. And possibly a period of time where there's been some self-consciousness. For myself, I feel like I've come out of [that] for the most part, because I'm used to it, but I would say that it was a little bit… it has taken some adjustment, and maybe I think differently about things I'm doing, question things in a way that I never would have in the 90s, when I was starting out. Are there positive aspects to it? BH: There's all kinds of positives. I mean, I feel like the music business is constructed in a way where you make a record and then it comes out a year later. The way that the music's being received is really off, compared to how it was thirty, forty, fifty, sixty years ago, which had a much more galvanising momentum. I don't think we've been able to take advantage of that kind of instantaneous creative flow that the internet makes possible. Maybe if you're a hip hop artist putting out mixtapes a couple of times a year and you get that instantaneous street reaction, but in a lot of the other music-making worlds, it's still on this older model that hasn't engaged with the internet. For the Record Club [Beck's online covers project, 'an informal meeting of various musicians to record an album in a day'] we'd record an album and put it up on my website, and you could feel a kind of back and forth, but still I think there's maybe 20-30,000 people checking it out. Which is not nothing, but it's not comparable to someone putting out an album. It's like launching a small stone into the tide. But with the internet, it feels like it goes into the ether, you're not sure who's seeing this or if it's registering at all. I put up some unreleased songs on YouTube a couple of years ago and it didn't register anywhere. I didn't see anyone mention it at all. BH: Oh, I wouldn't call it an obsession. With Record Club we did do some kind of, uh, cornerstone records, these undisputed great classics, and I liked the idea of it not being about paying tribute to these great records… I wanted it to be more about musicians interacting in a spontaneous manner. My fascination [with Yanni] started with seeing clips of his on public television in the 90s. He did these concerts and it was this kind of grandiose, strident performance with a big orchestra and these big banks of synthesisers… it was kind of the antithesis of everything that was happening in my area of music. It was sort of the extreme other end of things, which I find interesting. Will there be another album this year? BH: I hope so. If I can get to the studio in time.